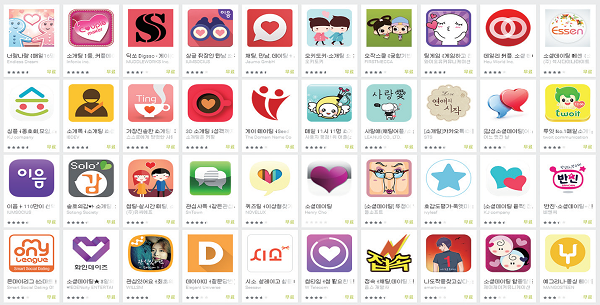 Some Sookmyungians feel nervous and uncomfortable using dating applications, but the reviewing of profiles and photos of recommended persons on the apps has become routine. In fact, a large number of university students have made love connections through the applications. While surfing a dating app to find a potential mate, women feel reluctant about a face-to-face meeting, especially with all the recent date crimes that are being broadcast on TV. Are date applications safe? Dating applications have taken an upturn in the world market recently. Presently, profits from date apps total about 5 billion won. The number of date apps total over 150, and according to the company 'Appani', three social dating apps rank in the top 10 in terms of profit from a domestic non-gaming area.1) With the upturn in date apps, university students have become the main users. Approximately 20% of users are undergraduates, and most of the apps have been created by university students themselves. For example, the dating app, 'Gilhanasai' is strictly for students enrolled in university. It was initially for Yonsei University and Ewha Women's University students, but it has since expanded to include 25 universities throughout Seoul. Users of the app are mostly satisfied the service because they can use the app along with the university name. The second most popular date app is 'CampusPal’. It was started by students at Myongji University. This app received an award from a competition hosted by IBM, an international computer company. Many university students are using the app because of its fairly reliable couple match making algorithm. Why have these apps become so popular? Woo Juwon, a dating app user, said, "Many of my friends are using dating apps because they don’t have to waste most of the initial first date to decide whether the person matches their wants in a partner. They can review the person’s profile online and get a good feeling about whether they will be a good match and I can meet various occupational cluster. "2) With increasing interest in dating apps, corporations have made an effort to improve their app quality. 'Hi-dare' and '1km' are dating apps that use location information and tailored strategies when it makes a proposed an introduction. Other apps make suggestions based on personal data that has been entered into the app. Sadly, Date apps have several problems. First, the apps incite lookism, as they rely mostly on a user’s appearance. For instance, before a member is accepted, the date app, 'Amanda', requires a user to upload a profile image. Existing members then evaluate the picture and determine whether the person will be granted membership. It is only when a new applicant attains a score of higher than 3 out of 5 that the person is granted membership. The dating apps 'Skypeople' and 'Major' only accept people who have graduated from prestigious universities, who are working at major Korean companies, or who hold professional jobs. These app users soon realize that appearance is more important than personality or character and that people in more recognized companies are better. The dating apps can cause more serious criminal offenses. According to research from 2014 to May 2015 by Korea Consumer Agency among 500 dating apps users, 24.4% experienced unwanted contact connections and 23.8% said they had received obscene communications.5) Because of these grievances, a number of corporations have installed ‘shut off’ functions on their dating apps. Still, the measure does not prevent all crime. An assailant is free to create a new ID and join the app again as a new member. The assailant is then able to find the victim once more. 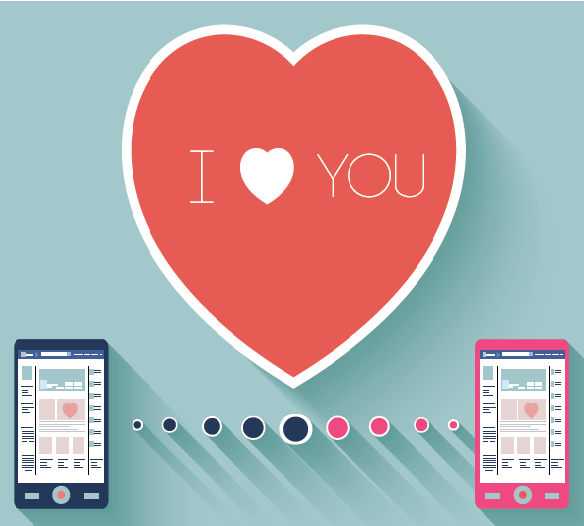 How can we use dating apps without worry? First, encoding measures need to be taken. Encoding technology should be used by application designers to secure personal information. Hong Dongcheol, Head of Research at M Secure Center, said, "Any programs that require users to create an ID or password should use security communications like password modules. "6) Personal information like social insurance identification numbers and home addresses and even things like blood type and religion are very private, so corporations must take measures to ensure that information is protected. Second, dating apps should require identification verification and make its users upload their real personal information. Moreover, usage should only be allowed for persons of 19 and over. Minors are more easy targets for criminals as they use the dating apps thoughtlessly. Though teenager bodies are mature, they are still growing mentally, so measures need to be taken to ensure they don’t fall victim to crime. 'Metoo', another dating app, requires its members to be over 19 years of age, and it operates a 24-hour monitoring system for a user who has fallen victim to a vicious attack or has some complaint. Third, consumers should use dating apps that require thorough verification and has reporting system. The main criminal action that occurs on these dating apps is the creation of false profiles due to a lax in member application procedures. The date app 'Appeal' attaches special stickers to users who have uploaded authentic photos of themselves and provided true information on their schooling and work history to safeguard its users. Furthermore, when criminal behavior occurs, the corporation should block the person’s ID immediately so that no further damage is felt by the victim. However, it is up to the user to be responsible when deciding to join a date app by reading and critically analyzing the date app before registering and uploading personal information. Ralph Waldo Emerson, an American minister and theorist, said, "He who is in love is wise and is becoming wiser, sees newly every time he looks at the object beloved, drawing from it with his eyes and his mind those virtues which it possesses." In other words, love is very important to every person. Dating apps are ways people can find love. However, dating apps can spark criminal behavior and may result in personal information leakage. To safeguard against these problems, effort is needed by both date app developers and the users themselves. Once these issues are resolved, dating app could be Cupid's arrow to the heart.